Locks of love on a bridge. 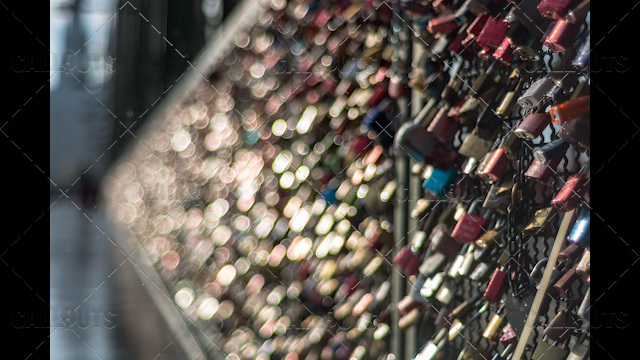 Depth of field effect on locks shimmering in the sun. Photographed in Cologne, Germany.